But do you know how to read effectively in another language, without getting overwhelmed by unknown vocabulary and complex grammar that doesn't make sense? In this article you'll learn how to use reading to quickly learn new words and boost your fluency in your target language, even if you're just getting started, and even if you've tried and failed before. Why should you bother reading? You've probably heard before that reading helps you to learn language. 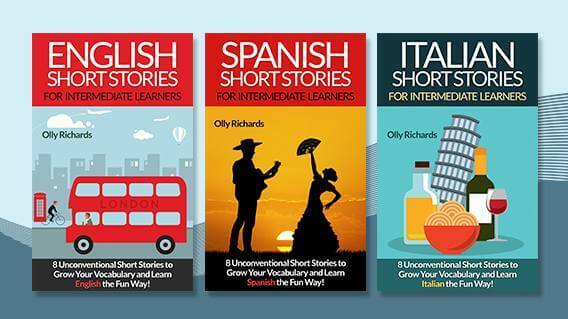 What are the benefits of learning a language with stories, as opposed to with a textbook? Understanding what reading is, and why you would do it, is the first step to becoming an effective reader. The main benefit of reading is that you gain exposure to good quality, natural language. But you can read in different ways. If you read a lot (for pleasure or study), this is commonly known as extensive reading. You read large amounts, and are concerned with enjoying the story or learning from the contents. It might be natural for you to read a lot in your mother tongue, but this is very different from the kind of reading you might do in a foreign language textbook. In your textbook, you read short passages of text, which you study in detail with the aim of understanding every word. This is known as intensive reading. With intensive reading, because you're reading in so much depth, you can't get through very much material. Both approaches have value and are an important part of a balanced approach to language learning. But it's extensive reading where all the magic happens. By reading lots of books, websites, magazines or newspapers (whatever you enjoy) in another language, you'll quickly build up an innate understanding of how the language works, because you cover so much material. Can you see how this is very different from what you get from your textbook? Well, in order to take full advantage of the benefits of extensive reading, you have to actually read a lot! Reading is a complex skill. In our mother tongue, we use “micro-skills” to help us read. You might skim a particular passage in order to understand the gist. When it comes to reading in a foreign language, studies have shown that we abandon most of these reading skills we take for granted in our mother tongue. Instead of using a mixture of micro-skills to help us understand a difficult text, we simply start at the beginning and try to understand every single word. Inevitably, we come across unknown or difficult words and quickly get frustrated with our lack of understanding. Well, once you're aware of this, you can adopt a few simple strategies that will help you turn frustration into opportunity, and use reading to quickly boost your language skills! Consequently, reaching the end of a book is the most important thing… more important than understanding every word in it! You must accept that you won't understand everything you read. The fact that you don't know a word or understand a sentence doesn't mean that you're “stupid” or “not good enough”. It simply means you're engaged in the language learning process, just like everybody else. So what should you do when there's something you don't understand? Look at the word and see if it's familiar in any way. There is often crossover in the vocabulary of different languages. Take a guess – you might surprise yourself! Go back and read the problem sentence many times over. Using the context of that sentence, and everything else that's happening in the story, try to guess what the unknown word might mean. This takes practice, but is often easier than you think! Make a note of the word in a notebook, so you can check the meaning later. Then keep reading. You may not be familiar with this particular verb form, or not understand why it's being used in this case, and that may frustrate you. But is it absolutely necessary for you to know this right now? Can you still understand the gist of what's going on? Usually, if you've managed to recognise the main verb, that is enough. Instead of getting frustrated, simply notice how the verb is being used, and then carry on reading! Now that we've dealt with the big issue of difficult vocabulary, let's look at the reading process itself. Read the first chapter of the book all the way through. Your aim is simply to reach the end of the chapter. Therefore, do not stop to look up words and do not worry if there are things you do not understand. Simply try to follow what's going on. When you reach the end of the chapter, try to summarise what you've read – the characters, places, ideas, events etc. You could make a few notes in the target language, maybe writing down some of the main characters and events. Go back and read the same chapter again. If you like, you can read in more detail than before, but otherwise simply read it through one more time. As before, don't worry about understanding everything. It's a gradual process that can take time, and I call it “reducing uncertainty”. At the end of the chapter, continue to jot down notes about what you've read. This can be whatever is in your mind – it's yet another way to help you process what you're reading. By this point, you should start to have some understanding of the main events of the chapter. At this point you might like to continue to re-read the chapter, this time using a dictionary to check unknown words and phrases. Just remember – avoid the need to understand everything. Use the skills mentioned above to deal with words you don't know and focus only on the vocabulary you think is vital to the narrative. Otherwise, if you feel you have followed the main events of the chapter, you should continue on to the next chapter, and enjoy the book just as you would in your mother tongue. At every stage of the process, there will inevitably be words and phrases you do not understand or cannot remember. Instead of worrying, try to focus instead on everything that you have understood, and congratulate yourself for everything you have done so far. Most of the benefit you derive from reading will come from reading entire sections through from beginning to end. Only once you have completed a chapter in its entirety should you go back and begin the process of studying the language in more depth. These steps are designed to do something very important: to train you to handle reading independently and without help. The more you can develop this skill, the better you'll be able to read. And, of course, the more you can read, the more you'll learn. Remember that the purpose of extensive reading is not to understand every word, as you might be expected to in a textbook. The purpose of reading is to enjoy the book for what it is. So, when you're reading, if you don't understand a word, and you can't guess what the word means from the context, the first thing you should do is simply try to keep reading. And you'll be tempted to reach for the dictionary at every turn. But if you can learn to be content with not understanding everything whilst reading a foreign language, you'll be developing a powerful skill, because you become an independent and resilient learner, who suddenly has a world of language at their fingertips. That's all very well, but how can I find books that are at the right level for me? So-called graded readers exist in most languages, but I've found that they're not always so helpful. They're either too hard, too boring, or contain parallel texts which remove all the challenge of reading and make it too easy for you as the reader. So I decided to make something different. 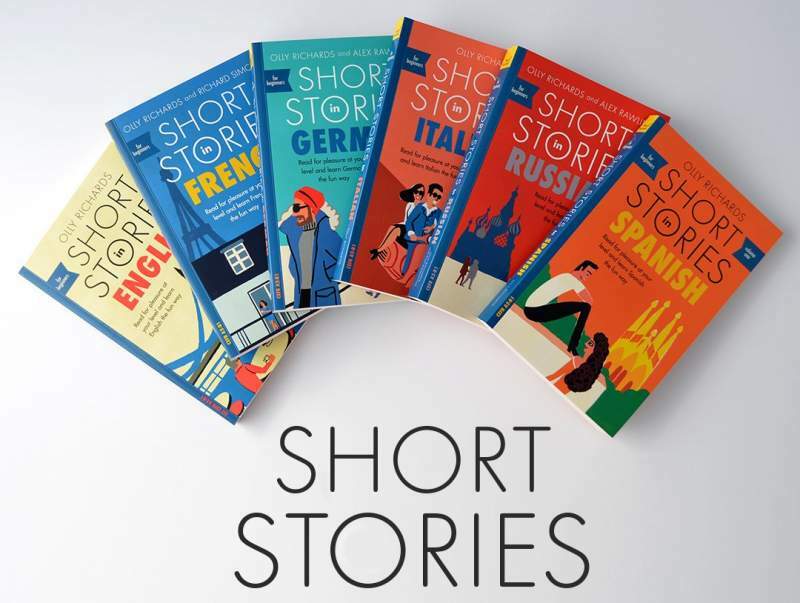 I'm creating collections of short stories, written especially for students from beginner to intermediate level (A1-B1 on the CEFR). Each collection is designed to give you a sense of achievement and a feeling of progress when reading. Do you have any tips for reading in another language? Leave a comment below to let me know! 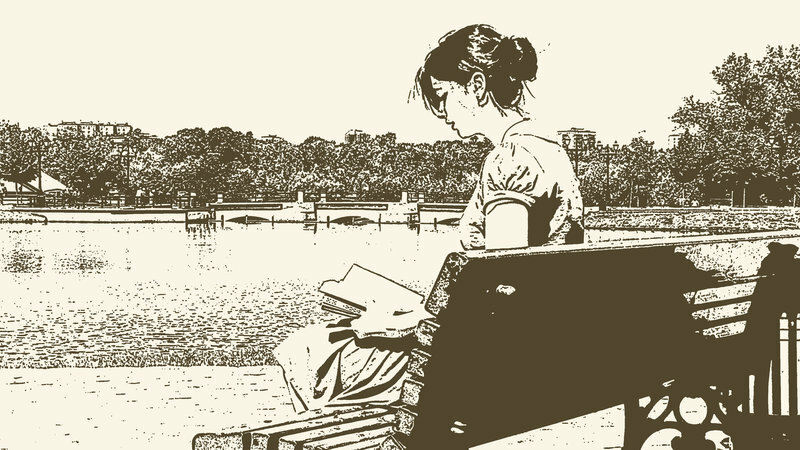 I’m a native english speaker, and I do the same for english language books. I’m looking for a first chapter that grabs me. I want a lot of dialogue… endless blocks of exposition are boring unless written by Dostoyevsky, Tolstoy, or another master. Are there a LOT of words I don’t understand in chapter one? A few are natural… but remember, in every book, the author uses the same words 80% of the time. If you can master the few unknown, you’ll enjoy the book. Honestly, ask yourself, would you read this book in your native language? If not, it’ll feel like homework. This is a great way to approach reading! Reading material you’re actually interested in trumps all else!